Taiwan made a transition to democracy in the 1990s, after several decades of harsh authoritarian rule under the Chinese Nationalist Party (KMT), becoming one of the most prominent examples of the “Third Wave” of global democratization. The international democratic community warmly welcomed and supported this process, and Taiwan received particular praise for the peacefulness of its transition, as well as for its ability to sustain a robust economy during the transition period and beyond. The strategic value of Taiwan’s democracy to the international democratic community is immense. In addition to the positive characteristics of the transition noted above, Taiwan is one of the clearest demonstrations that democracy can indeed thrive in East Asia. Furthermore, Taiwan is in all senses on the frontline of global democratic development, facing directly the largest and most powerful non-democratic country – China. However, these gains are now at risk. On the one hand, the rising power of China is being increasingly deployed to undermine democratic gains throughout the region. These are felt especially keenly in Taiwan, where China does not even acknowledge the sovereignty and independent existence of the country and its 23 million people, but maintains an official goal to absorb Taiwan. In addition to overt military threats, Beijing’s strategy includes a wide variety of political and economic pressures as well as inducements dangled before many people and institutions within Taiwanese society. China’s vast influence is also employed to deter the international democratic community from taking a stronger stance to promote and defend democracy and human rights in Taiwan, or indeed in Asia as a whole. At the same time, anti-democratic elements in Taiwan have also regained significant influence, especially since the KMT returned to power in 2008. These consist of two main strands. First, formerly entrenched political and business interests who had lost out from liberalization and the rule of law have been working to restore their positions. Second, authoritarian mindsets persist – legacies of the long years of indoctrination and the behavioral habits developed under the inherently corrupt old regime – and they have been reinforced by the disappointments and frustrations over the slow pace of reforms and nation-building. Significant backsliding, therefore, is already occurring in a number of areas, ranging from political manipulations of the judiciary to undermining of independent media. In addition, long-awaited democratic reforms have been stalled, such as resolving the issue of the party assets of the KMT and eradicating systemic corruption. While such trends exist in many newly democratized countries, in Taiwan they are doubly dangerous, because they create the conditions for collaboration with the Chinese regime for the sake of short-term gains or financial interests. Indeed, a pattern of collusion between the KMT and its former rival, the Chinese Communist Party, has been becoming increasingly clear in recent years. Thus, despite its robust appearance, Taiwan’s democracy is highly vulnerable to these external and internal threats and in need of solidarity from the global community of committed democrats. With the above concerns in mind, the International Committee for a Democratic Taiwan (ICDT) is being organized to enlist the moral authority and political leadership of the civilized international community to protect Taiwan’s democracy and freedom. 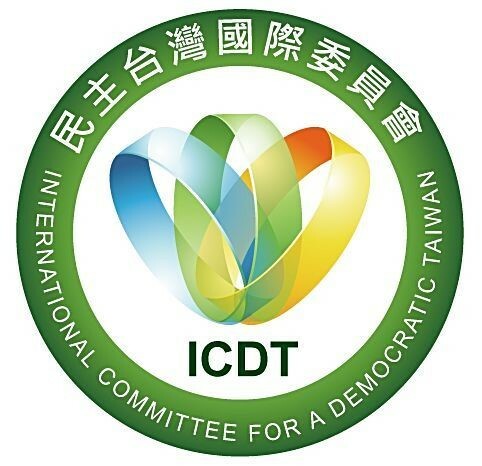 The ICDT will consist of a select group of prominent democracy leaders from around the world, including civic activists, political leaders, and liberal intellectuals, all of whom are strongly committed to Taiwan’s hard-earned core values of democracy, freedom, human rights, and the rule of law. To achieve these objectives, the ICDT will engage in activities to raise awareness in the international democratic community about the importance of preserving Taiwan’s democracy. At the same time, the ICDT will endeavor to raise confidence among the Taiwanese people that they can make their political choices freely, and that their choices will continue to be respected by the international community. Finally, the ICDT will oppose any anti-democratic developments within Taiwan, as well as any external political intimidation or military threat coming from the other side of the Taiwan Strait. Promoting awareness of related issues in the international media, through publishing op-eds, arranging interviews, etc. Establishing a pro-active website for international networking and to serve as an information hub.